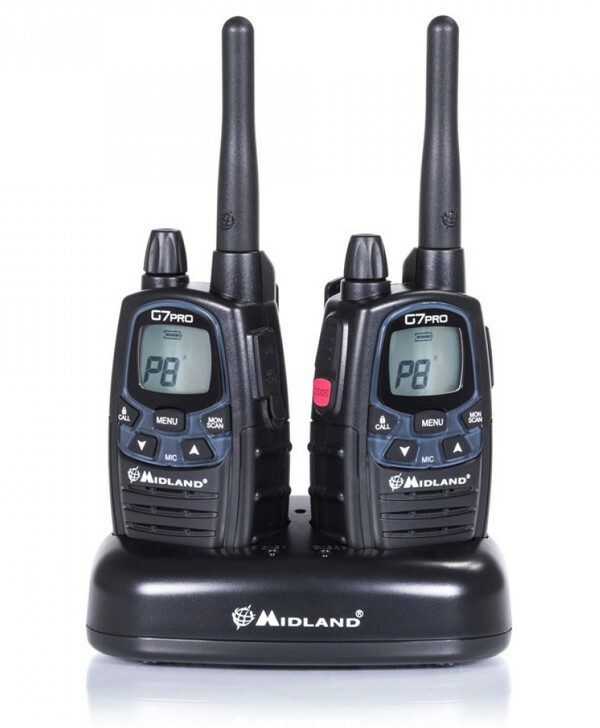 Midland G7 Pro Dual Band with 69 LPD Channels is a really robust and professional pair of Dualband PMR/LPD (licence free) two way radios. 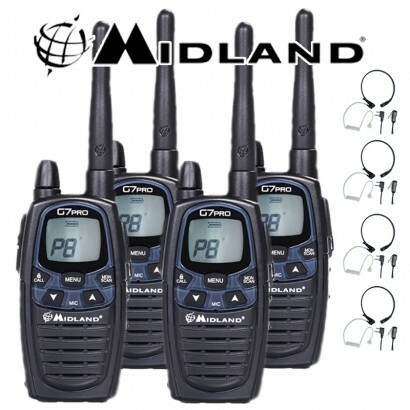 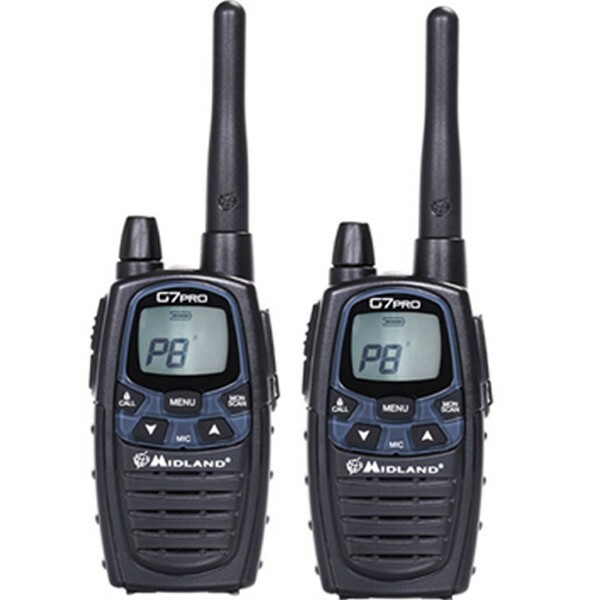 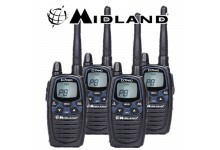 The Midland G7 Pro has proven itself to be a reliable and cost effective way of communicating, no matter where it is being used. 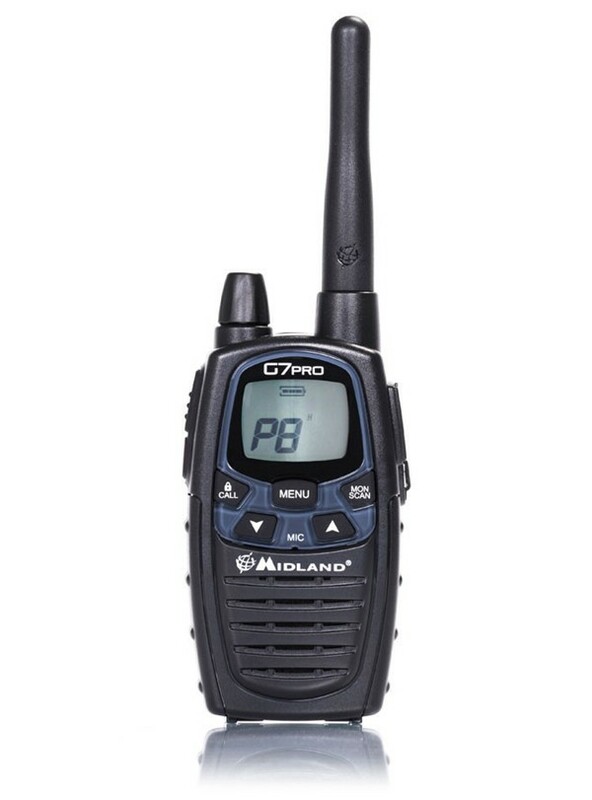 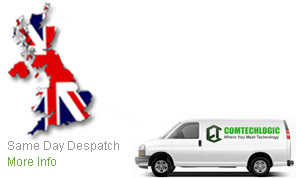 With a lot of useful features and exceptional build quality for the price, it's an ideal radio for anyone looking for a dependable but simple to use unit. 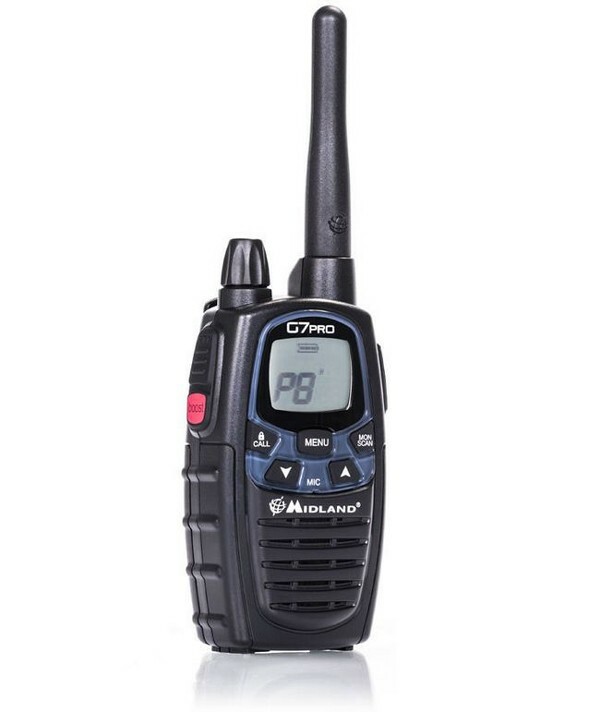 This 3rd generation version of the G7 Pro combines the very latest radio technology. 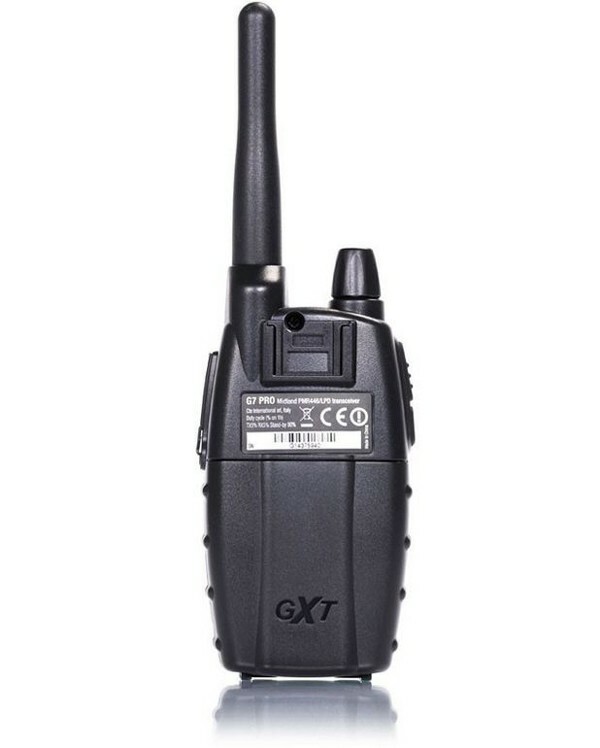 It is built into a sturdy metal frame making the G7 Pro the ideal and effective solution for professionals who need to stay in touch with colleagues (construction sites, buildings, hotels, trade fairs, shows, farms etc) along with sporting or leisure activities. Its robust frame, ease of use and simple operation makes it ideal for use in all kinds of situations with no call charges. 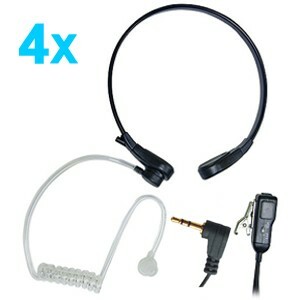 Clip microphone with earphone clips to your lapel or collar. 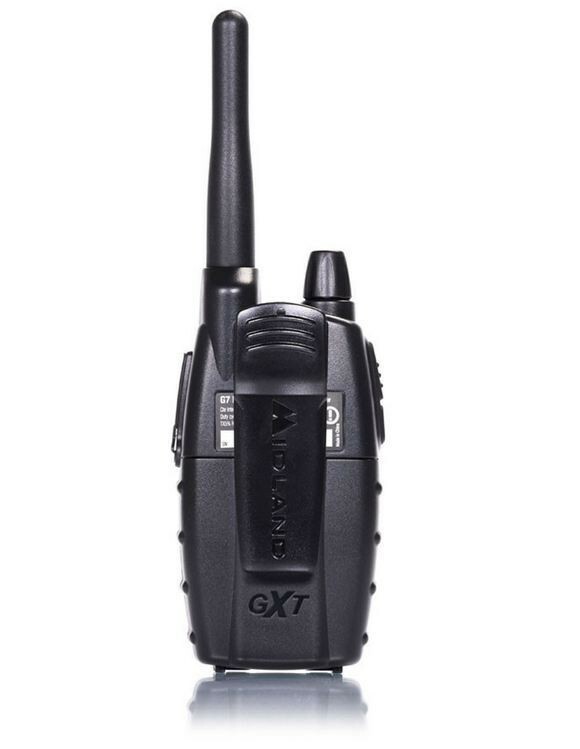 The hidden micro-speaker is located in the centre of PTT switch. 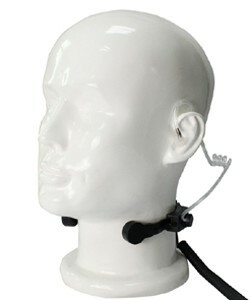 Low-profile, flexible, transparent acoustic tube transmit sound in high quality the transparent tube would be hardly noticed by others around you. 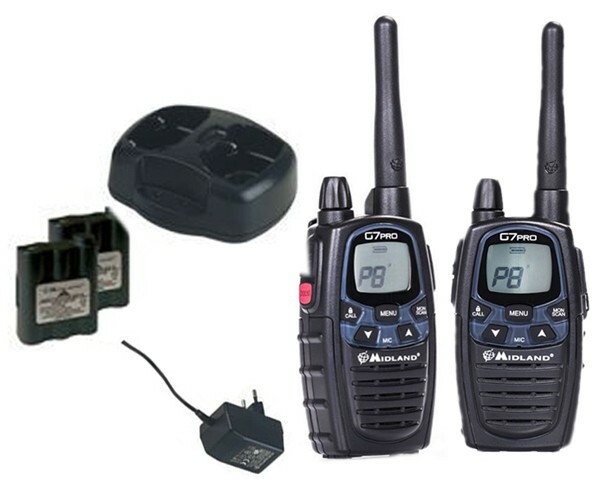 Package included: Black wired earpiece + clear acoustic tube with earbud + spare earbud.